Apple has announced on Thursday that it will hold its Worldwide Developers Conference (WWDC 2017) in San Jose from June 5 to 9th, 2017. 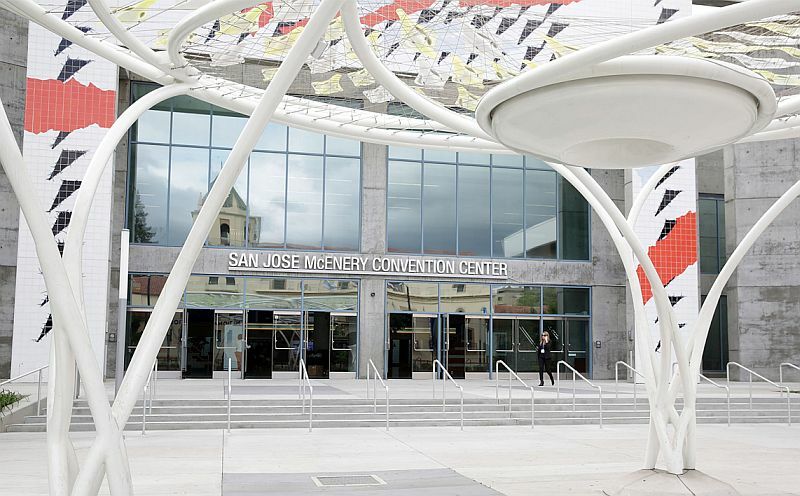 Apple will be returning to McEnergy Convention centre in San Jose after 15 years the event has been held there. San Jose last held the WWDC in 2002 and it great that Apple’s annual event is going back to San Jose. Information has it that Apple might showcase the next generation operating system, iOS 11 (iOS, MacOS,tvOS and watchOS) for it mobile devices, Macintosh, , Television and watches. All Apple developer members who wish to register for the WWDC 2017 will be required to do starting from March 27, 2017, and according to the information on the company website, selection will be randomly done and those who are selected will be required to pay $1,599. Apple has announced that the conference will commence on June 5-9 where various innovations and apps from developers will be showcased at this year WWDC. Each year during WWDC, millions of talented developers around the world learn about Apple’s breakthrough platform technologies ranging from programming languages like Swift to breakthrough developer APIs like SiriKit, HomeKit, HealthKit and CarPlay. These Apple technologies inspire developers to continue creating incredible experiences for every aspect of customers’ lives and improve the way they manage their smart homes, cars, health and more for over one billion active Apple devices. credit Apple.